Winter is around the corner, and the coming cooler season brings a list of errands that must be completed to protect your pool during the off-season. Most importantly, you need to close or winterize your pool so that you don’t have any issues while it’s not in use. Whether you’re shutting down your pool as you head to a second home for the winter or just want to close up during the colder weather, these tips should make the pool-closing process much simpler. 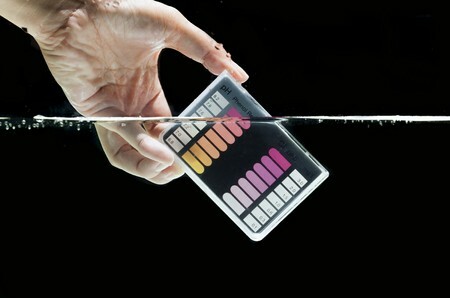 When closing your pool, it is important that you modify the water chemistry and “shock” the pool. There are general levels that your water chemistry should meet. For example, you’ll want to keep your alkalinity at 80-120 ppm, the calcium hardness at around 180-220 ppm and your pH between 7.2 and 7.6. Shocking the pool involves adding an oxidizing compound to destroy any undesirable compounds, including any chloramines, notes Swim University. Generally you’ll need one pound of shock per 10,000 gallons. This will also increase the chlorine levels in your pool temporarily, so before adding winter algaecide, wait until levels to return to 1.0-3.0 ppm. Contact the professionals at Crites Custom Pools for help you if you need help with this process. Cleaning the pool should be a priority when closing or winterizing because it limits the possibility of damage. You will want to vacuum, skim and brush the pool to make sure that it’s as clean as possible to prevent the growth of any bacteria or algae while closed. Take time to ensure that you are brushing as efficiently as possible to avoid covering the pool for the full winter season and creating a breeding ground for problems. You should also take this opportunity to take out any removable items from the pool, including ladders, skimmer baskets and other accessories that do not need to be there. Also be cautious while coiling up your hoses that you don’t wrap them too tightly, leaving to kinks in the line or fractures in the hose. Next to properly cleaning the pool, the most important step to safely leaving your pool for the winter season is to ensure that you are adequately covering it. A high-quality mesh cover without holes is a great option. This protects the pool from debris while offering a bit of permeability during rainy weather. If you have an above-ground pool, you may need to use cables to secure the cover in place. In addition, if you live in an area with high winds, using cover seals or wall bags can help prevent the cover from moving during the off season. At Crites Custom Pools, we understand the importance of properly closing and winterizing your pool, and we are here to assist at every turn. Whether you need help with preparing your pool for winter or want to learn more about installing a custom pool or water feature at your home, we can help. To learn more or for answers to your pool-closing questions, give us a call at 512-759-2630 and speak with one of our experts today.